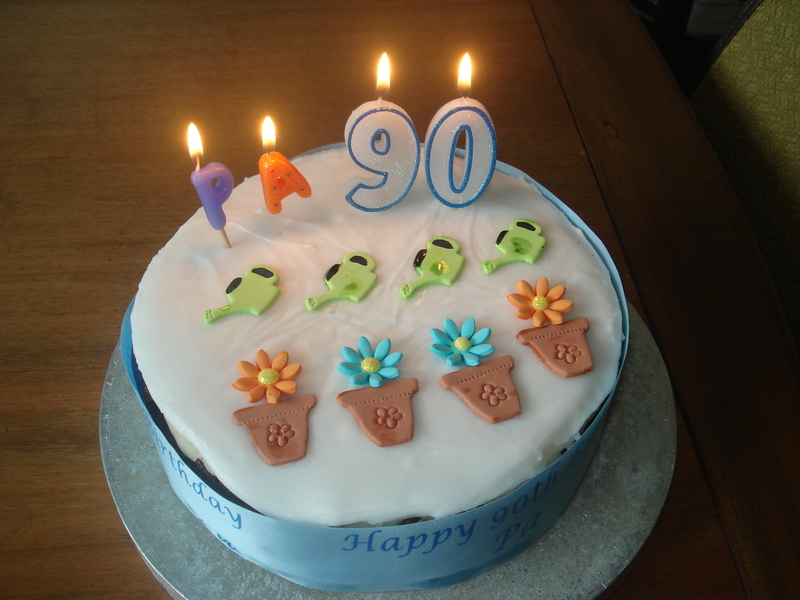 This is my 100th blog, so what better way to mark this occasion than by telling you about my Dad’s 90th birthday. We went to visit him last week (4 hours drive away), and take him out for lunch for his special day, but also I made him a cake. I made a lovely rich fruit cake but without nuts. place the cake in the oven and bake for 1 3/4 to 2 hours or until golden brown and a skewer or knife inserted into the middle comes out clean. This made a lovely moist fruit cake, not too heavy. 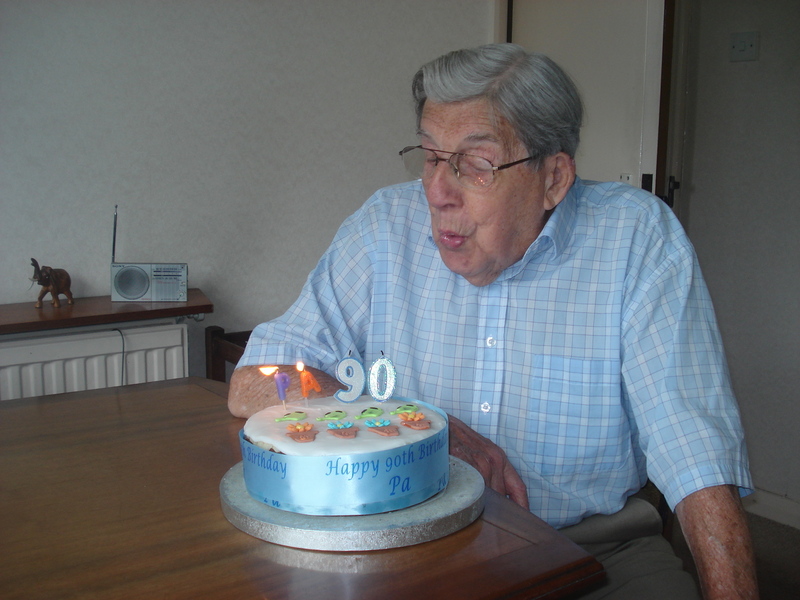 My Dad loved it and here you can see him blowing out the candles.